Could you please explain what the chart means in plain, simple English? Sorry, I know squat about the relationships of the planets. Not sure what part is not clear – the group vs the individual missions? Dual sided personalities? That the changes are only just starting? I match the relationships of the planets (aspects) with everyday interpretations. Try to learn about the aspects by reading the aspect with the plain English language “this means…” statements. so if you don’t understand “she has a full moon in 11th/5th” try to understand the interpretation in the next part – that is choices between groups (11th house) and individual creativity (5th house). 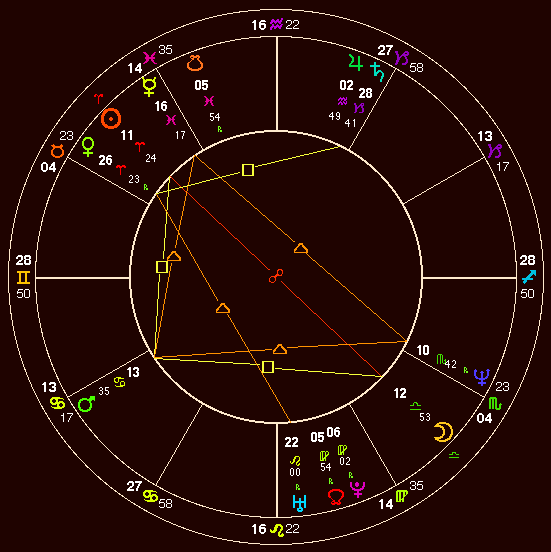 Anyone with planets in the 11th house opposing the 5th house has a pull between doing stuff for the group vs being a star on their own. Susan Boyle has challenges in addition around caring for others vs being her own diva. More than usual actually.